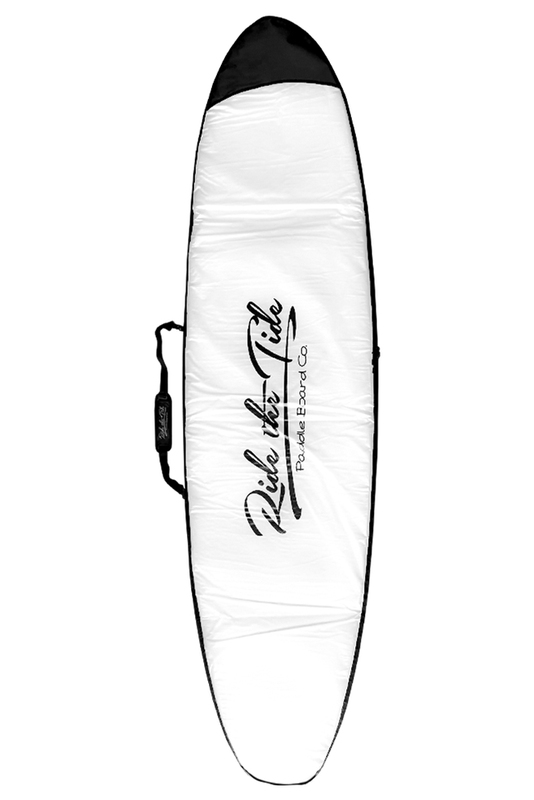 Protect your investment with our Brand New 2019 Ride The Tide board bag. With a zippered fin slot, multiple carry handles, shoulder strap, reflective and water proof back and front, your board will be well protected from all of the elements! Simply select your board size above to ensure a proper fit. Bag sizes available: 9'6", 10', 10'6", 11', 11'6" or 12'6"
If you need any help in choosing the right size paddle board bag or have any questions, please call Dean anytime on 0403 549 702. At Ride The Tide we are all about making your purchase easy and ensuring you buy the right product for you. We are always happy to help. Love the white bag design, reflects the heat nicely compared to other coloured bags. Great quality and looks awesome too. Thanks! Well designed and love the extra carry handles and zipper opening for my board fin. Very durable - super happy!